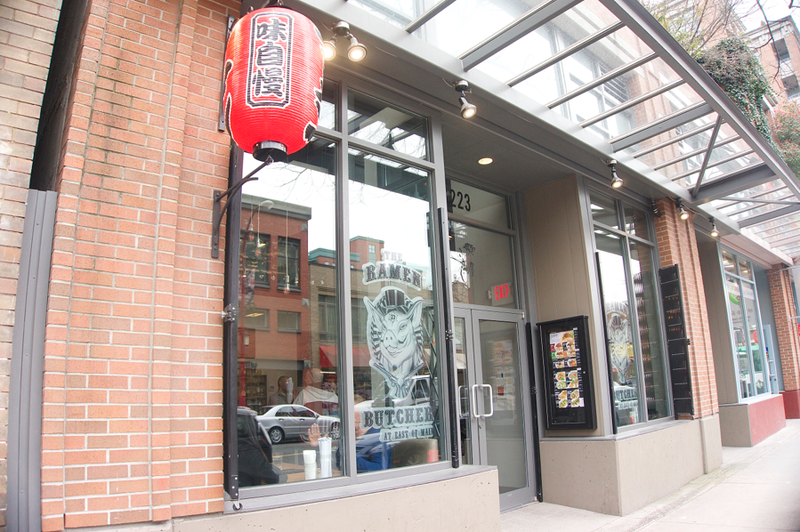 Vancity Noms: The Ramen Butcher + I'M BACK!!! If you've been keeping up with me on this blog, you'll know that for the past month I've been travelling all over asia! I went to Taiwan, Indonesia, Cambodia, Malaysia, Singapore and Vietnam!! 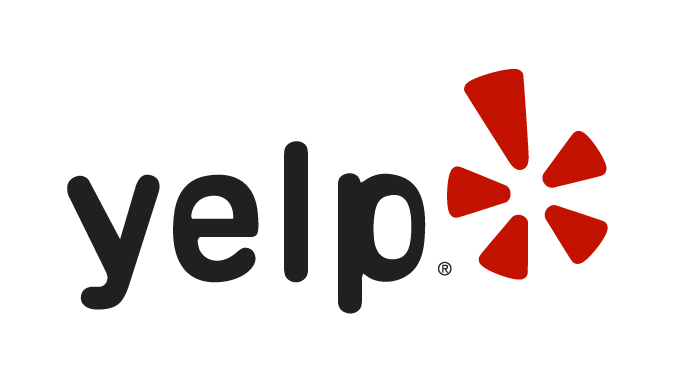 Even though I've been posting erratically the past month and haven't blogged about any Vancouver restaurants I want to thank you guys for sticking with me, commenting, and reading, it really means the world to me!! You guys make me happier than a fatty piece of charsiu!! LOL. Or you can scroll down the page and clink the links in my blog archive!! The legendary Din Tai Fung - Review of 15 dishes + Famous Shaved Iced! I only had ramen once at Ippudo during my trip, so it was about time I had some again hehe. 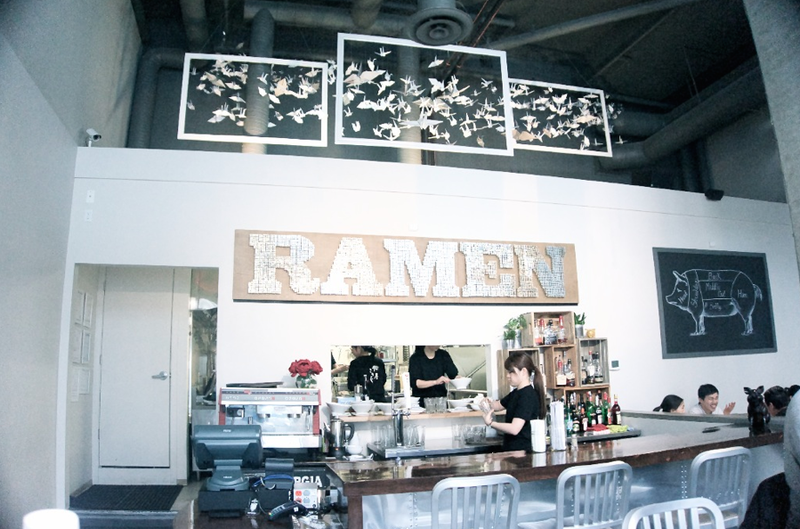 I was super stoked when I found out that there was new ramen joint in town, just another thing to look forward to when I come back to Van! 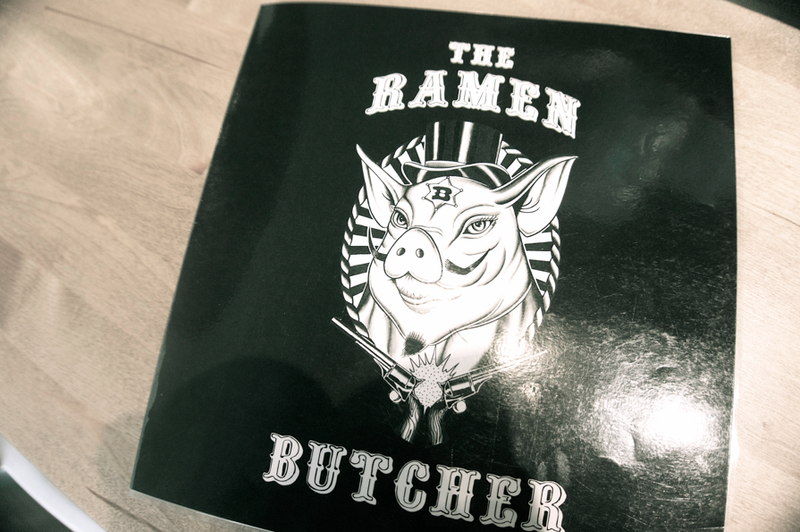 So for my first meal back I made my way to the Ramen Butcher in Chinatown!! It's just a hop and skip away from the skytrain (Stadium - Chinatown!) I have to say, I was pretty impressed by their choice of location. Strategically placed across from Phomn Penh and a few steps away from Matchstick Coffee Roasters, where all the foodies/trendy people congregate LOL. 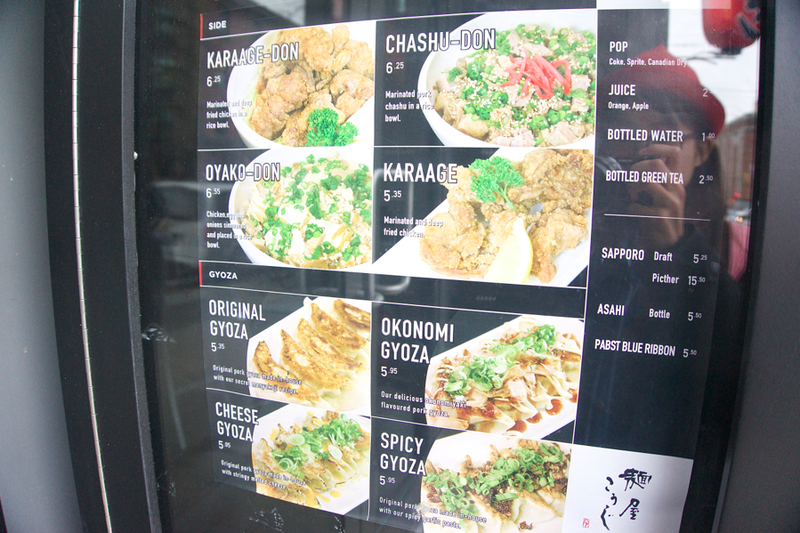 Okonomiyaki, in gyoza form!! This really did taste like an oknomiyaki pancake because of the bonito flakes, and sweet mayo/teriyaki sauce! The wrappers were thin and chewy, and slightly charred on top. 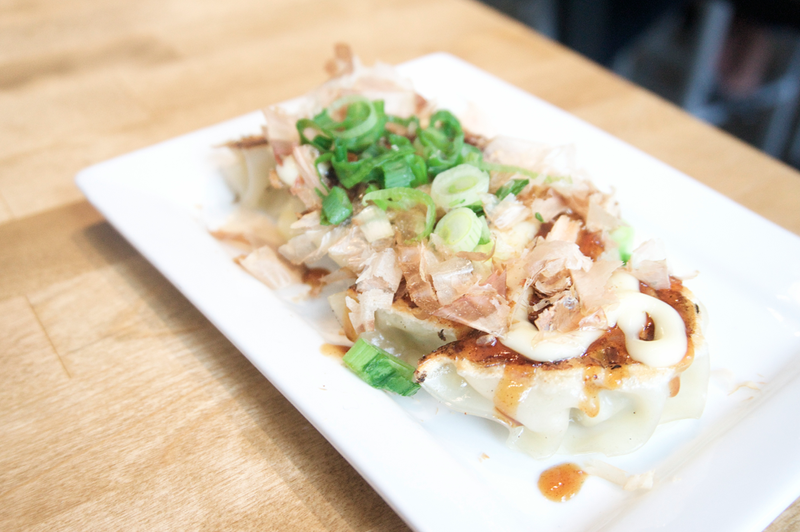 The flavours of the sauce dominate the gyozas, so you can't really taste the pork/veggie filling unless you try it individually. The filling was decent though, light in flavour and reasonably moist. Good in theory, but flavour wise, nothing too exciting!! 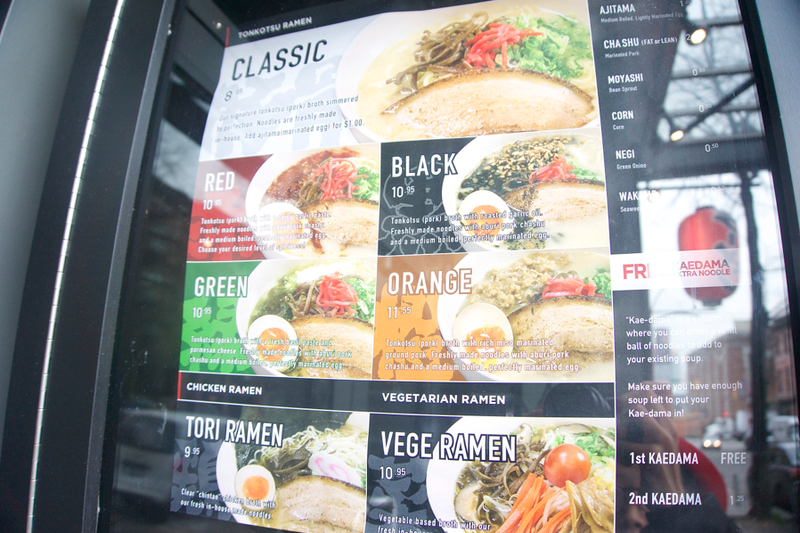 For curiosity's sake, I had to order the green ramen. I mean, how could I resist? It's pesto sauce, in ramen!! This was really interesting!! 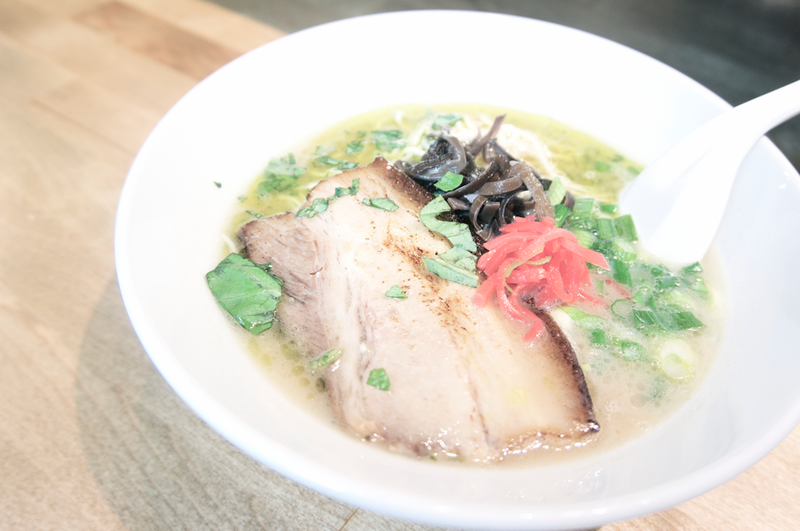 The soup base had a strong pesto flavour, and combined with the tonkatsu, the broth had lots of depth and flavour. The broth starts off a bit watery but it gets thicker as you eat because the pork fat congeals! 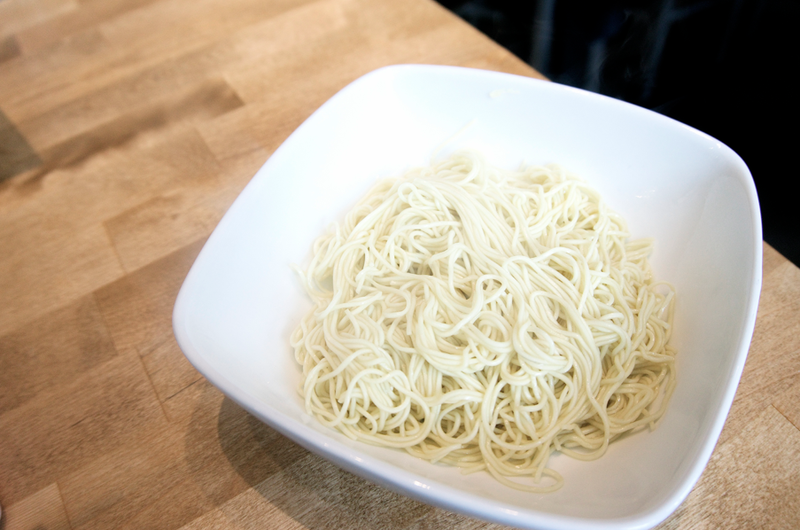 The noodles they use are the thin kind - think Marutama, less bouncy but al dente nonetheless. The slice of char siu was absolutely massive, and I was gnawing at it like an animal LOL!! The lean part was a bit hard hard to chew but the fatty part was moist with a subtle smokiness. The addition of ginger and green onion spiked the broth with an extra layer of flavour and really helped bring out the flavours of the pesto.